With its devilishly handsome design, high-tech yet sporty cabin and performance capabilities, the new Audi A7 Sportback is a highly appealing business sedan. If the Mercedes-Benz CLS is Anne Hathaway in an Alexander Wang gown then the Audi A7 Sportback must be Christoph Waltz in Brioni's best. 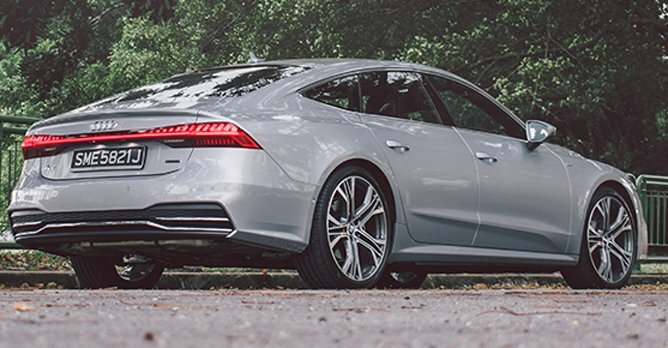 While the former may have kick-started the four-door coupe trend, it's the Ingolstadtians that have taken the look and masculinised it; the A7 is sharper, more muscular and boasts a rather sickeningly obsessive design attention to detail. 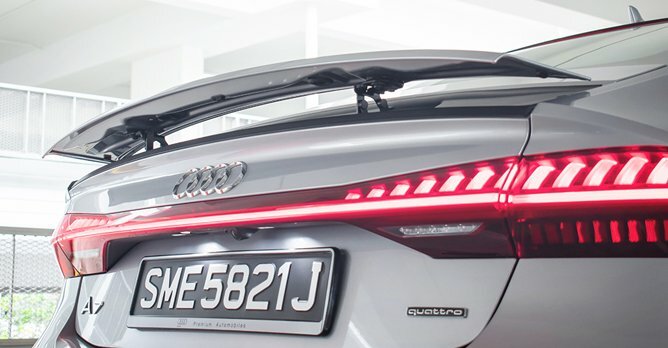 Compared to its predecessor, the new model has a face that looks more aggressive thanks to its enlarged signature hexagonal grille, sleeker headlamp design, as well as continuous rear light strip first seen on the latest A8. The designers even moved the positioning of the fuel filler cap so that it didn't get in the way of its styling line. Up top, the A7's sloping roofline remains, albeit taller now by 2mm, while its wheelbase has been stretched by 12mm, now at 2,926mm. 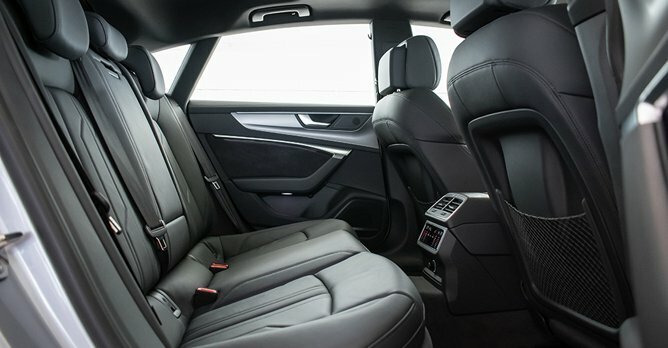 This change is translated clearly on the inside, where the 21mm increase in legroom, as well as the slight increase in headroom, are abundant for both front and rear passengers, even tall ones. Luggage capacity remains as before at 535 litres and can be expanded up to 1,390 litres with the back seats folded down for a couple more golf bags if necessary. 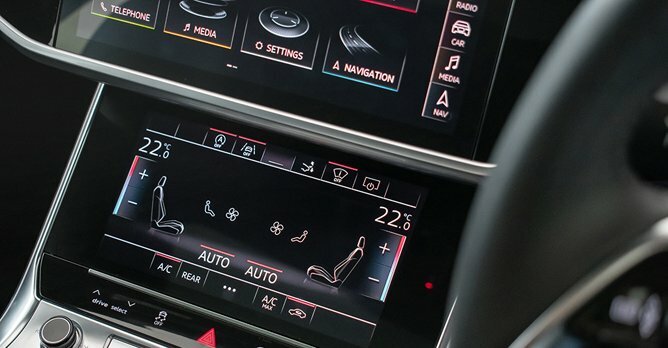 But perhaps, the most significant change compared to the first generation model is the more modern, more driver-focused design of the cabin, which is complemented by a host of touchscreen displays with haptic and acoustic feedback. Like new smartphones, the lighting control display, the 8.6-inch climate control display and 10.1-inch infotainment display respond with little buzzes to let you know your selection has been registered. While it may seem gimmicky to some, this haptic and acoustic feedback do make the process more informative and is particularly helpful when operating the various functions on the move. It will, however, take a moment to navigate the system, understand all of the features and how to use them. 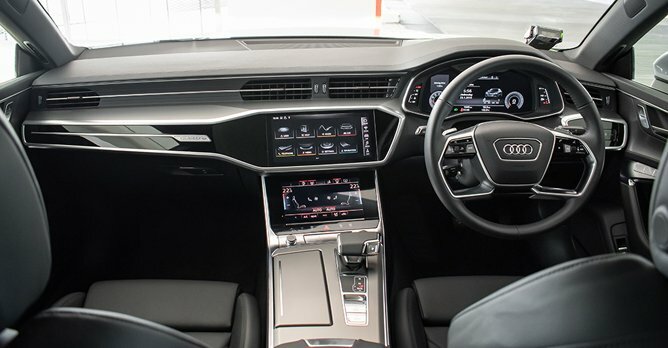 Elsewhere, the cabin displays typical Audi qualities, with tasteful materials and a fit that has been seemingly measured right down to the millimetre. 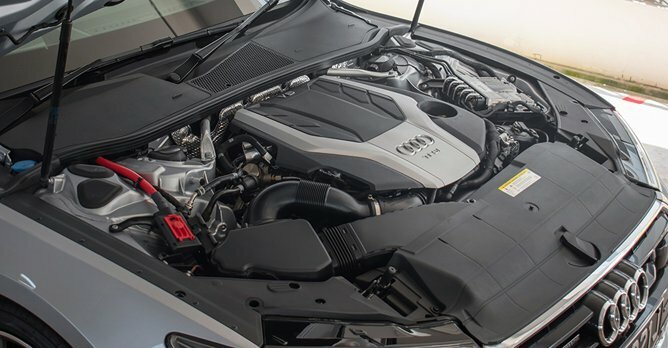 The only engine option available for the A7 right now in Singapore is a boosted V6, which makes 335bhp and 500Nm of torque, mated to seven-speed dual-clutch transmission. But having driven it, there really isn't a need for a more powerful engine, nor would you want anything less. Despite having a few horses lesser than the more expensive CLS450, two less cogs and being a smidgen slower from 0-100km/h (4.8 versus 5.3 seconds), the A7 offers no less of an impressive driving experience. Its performance is delivered in the sort of impressively seamless and effortless fashion synonymous with luxury, and even when you put your foot down at cruising speeds, it never runs out of breath, always happy to continue hurling its 1,815kg self quickly past legal speed limits. 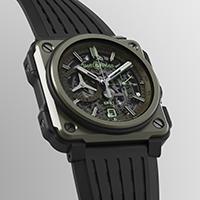 Likewise, the way it moves, agile yet poised, belies its heft and near 5m length. And while it may ride a little firmer than its Mercedes rival, there's never a time it feels unsettled, providing an experience that entirely befits its luxurious nature and $370,500 price tag (as of 14 January 2019). It is also equipped with nifty electric nannies such as side assist, intersection assist, and an exit warning system. Given the combination of style and substance it affords, few cars can match its overall business-like appeal, just as few men can boast the charisma and style exuded by Christoph Waltz.